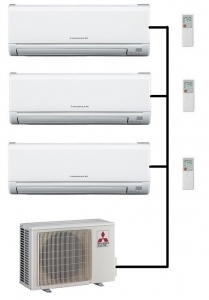 Mitsubishi Electric makes a range of multi outdoor units this model is the MXZ-4F72VF. 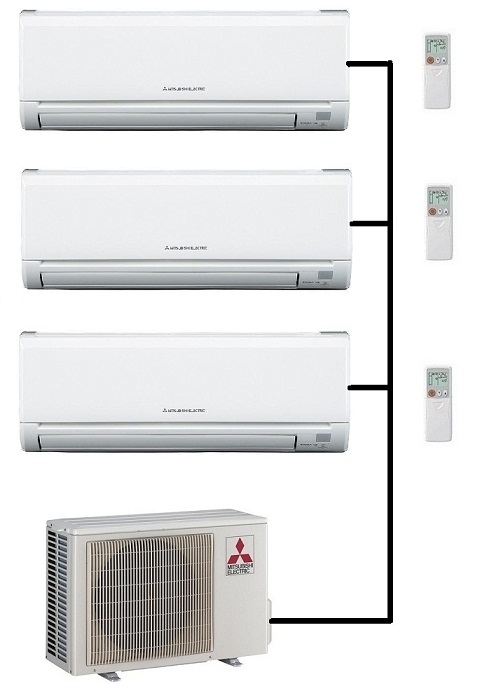 With this multi outdoor unit listing you can run a number of different output sizes of the Mitsubishi Electric standard range of high wall indoor units. These have the ability to either run in air conditioning cooling mode or heat pump mode to provide heating. Please note only one mode can be selected for all the indoor units at any one time, however each indoor unit selected to operate at different temperatures in that mode.